Helm is a sound artist and experimental musician based in London, active since 2006 and working with a vast array of revolving instrumentation and abstract sound sources. He has produced four full-length albums and three EPs consisting of dense compositions which explore the relationship between acoustic and electronic derived sounds. 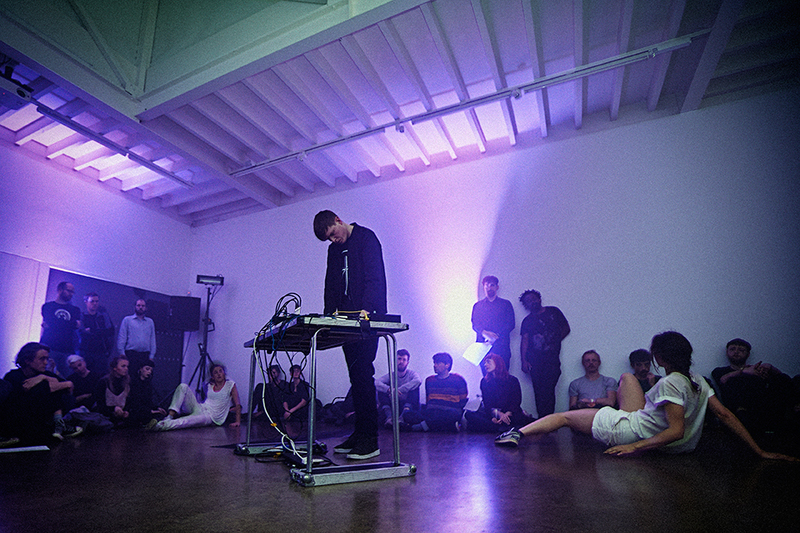 Helm’s initial influences covered a broad range of 20th and 21st century avant-garde and experimental music, yet recently the project has grown to incorporate elements and ideas from other forms of electronic music, particularly industrial and different strains of dance music, something which more accurately reflects his own listening habits. He has also performed extensively across international territories in various different locations and environments, including many festival dates and tours with Danish band Iceage. His music has also been included in the East End Film Festival as part of Blanck Mass' re-score for the 2013 film "The Strange Colour Of Your Bodies Tears" and also installation work for Tate Modern, ICA and NYC based artist Charles Atlas.